Many of our fans are familiar with 1999 Mode, which shipped as the hardest difficulty mode in BioShock Infinite. If you wanted to jump directly into 1999 Mode, the development team even included a special code allowing for early access (Hint: Konami Code). Today, in conjunction with the upcoming DLC, BioShock Infinite: Burial at Sea – Episode Two releasing March 25th, we’re revealing the brand new 1998 Mode, which challenges gamers to complete the narrative using only non-lethal tools. This mode will be in addition to existing difficulty modes, and the aforementioned 1999 Mode. We look forward to seeing our fans attempt to conquer 1998 Mode in BioShock Infinite: Burial at Sea – Episode Two, utilizing the new stealth-oriented gameplay as you take on the role of Elizabeth, and see the world through her eyes. Don’t forget about the Season Pass, allowing you to get the DLC packs at a significant discount. That is a damn cool picture you’ve got there! Would love to see it as a poster. Also really glad about these news, obviously, but I most of all just wanted to say that I would buy that poster in a heartbeat! The name and the poster form a Thief pun! 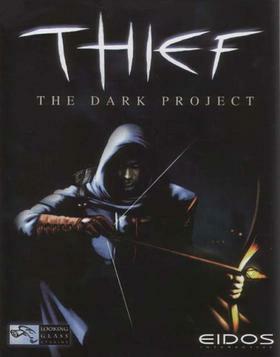 Thief: the Dark Project was released in 1998. Just as System Shock 2 was released in 1999, hence 1999-mode. I got that, that’s part of what makes it so awesome! Ah, how my heart flutters at the notion. I simply cannot wait until the release of Episode 2! Quick, someone fetch the smelling salts! I fear my nerves can’t handle the excitement! Sounds like it’s gonna be sweet. I swear I’m getting this Thief reference when I see this but I love it! March 26th never looked so good to me until now! This reference.. WOW. Another demonstration of your immense artistic talent, Irrational Games. With mode 1999, I’ve played a really good challenge, I’m sure you will succeed it with 1998 mode! I can’t wait! Geez, and I thought 1999 Mode was hard enough… can’t wait to try this though. I’ll never forget the great games you’ve given us, Irrational. I loved the first two Thief games and definitely looking to check this challenge out. I’ll be doing my first run with both 1998/1999 modes on! Sweet! This is more or less what Dishonored is like (choose to kill/take stealthy approach or not), although we all know that BioShock is way better… Can’t wait to try! I am not only looking forward to playing as Elizabeth this time, but also to play these through the Bioshock universe using these new gameplay mechanics, weapons, and tools. Still a month left. The anticipation is building. L Dog is in da hood…WHAAAAATTTTTT!!!!??? I’m a huge fan of the series so back last year when BS infinite came out I was thrilled to play a new BS. I reserved the game months out from the release date and when it came out I picked up the Collector’s edition with the game guide and season’s pass. Played through the campaign, and waited for the DLC. When Clash in the Clouds finally came out is when I started to see there was a problem. I downloaded it from the game through the season’s pass option and the download seemed fine. Went to play the DLC and it crashed saying there was a disc read error. I pulled out the game and inspected the disc. To my surprise there were no scratches or dust. I then put the disc back in restarted the game and tried to play the DLC again, and again it said disc read error and kicked me back to my Xbox 360 home screen. Well I called microsoft and they didn’t have an answer for me. I said well maybe you will come out with a patch and I gave it a few months. You then released Burial at Sea. I put my disc back in and downloaded that DLC. Download went fine, then I tried to play Burial at Sea. And low and behold what do I get? **CONTENT REMOVED BY ADMIN** Now I’m not really mad I can’t play Clash in the Clouds, but Burial at Sea is new content and a story I paid for and want to play. I work for a living and this is not the first time I’ve tried to contact you. My time and money are valuable to me and as a company you have to make the time and money I put into you worth it to me. I paid for a product, the game and season’s pass, and yet you have only given me the game. Where is my DLC and why can’t I play it. I’ve bought a new hard drive, I’ve deleted my licenses, I’ve deleted my DLC, and re-installed it all. Again I’ve done my part as a consumer now time to fulfill your end of the deal. If you want to check and see that all I’ve said is true my gamertag is Zerofitz. Firstly, in the future, please watch your language within this comment section. Now, with regard to you issue, have you filed a support ticket with 2K Games? You can do so here: http://support.2k.com/hc/en-us/requests/new – They will work with you to look into what is causing your issue, and hopefully be able to find a proper solution. I think a lot of us would pay good money for an trapezoid shaped box of Bioshock Infinite for the nostalgia. . . But I do second the poster. The poster would be sweet.